Isis L. Chatman is the Founder and Chief Executive Officer of Ruth’s Way, Inc., a faith-based, non-profit, Achievement Consulting Agency for Adolescent Females (ACAAF). She is responsible for the administration and execution of the objectives, mission, and vision of Ruth’s Way. 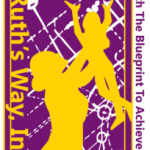 Ruth’s Way’s mission is to help young girls achieve long-term success as virtuous women, regardless of their past or current situation. Isis has provided services for youth and families through her personal ministry and professional employment for 20+ years. Isis is an ordained minister, has earned her Bachelor of Arts in Sociology from The University of Pittsburgh, Strength-based Family Worker (SFW) Credential from Temple University, Certificates of Completion in Lay Counseling and Pre-Marital Counseling both from Petra International Ministries, and Certificate of Completion in Specialized Case Management and Job Development from InspiriTec. Isis is a member of the African American Leadership Association, Penn Hills Kiwanis Club, the African American Chamber of Commerce of Western Pennsylvania and Penn Hills Toastmasters. She was nominated and appeared in the 2015 inaugural edition of Who’s Who In Black Pittsburgh, selected as one of the National Association of Women Business Owners (NAWBO) 40 Pittsburgh Women Business Owners Wise Women, and on October 14, 2015 appeared as a guest on the Lynn Hayes Freeland Show. A native of Homewood, Pittsburgh, PA., Isis is currently happily married to her wonderful husband Vernon Chatman in which they are the proud parents of their phenomenal son Tyreque who are is successfully completing his final year in college.